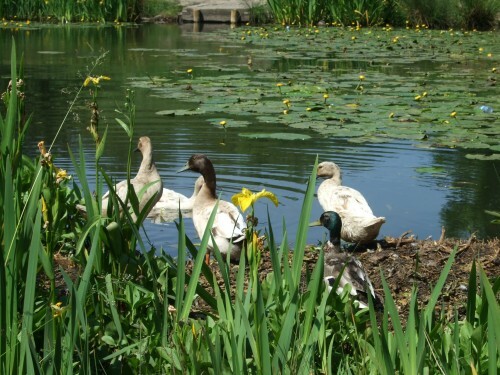 Eatock Lodge is a 6 hectare Local Nature Reserve and Site of Biological Importance in Daisy Hill off The Hoskers, the former site of a coal mine that has been returned to nature, and is an area of natural beauty secluded from nearby housing estates. The site dominated by the sizeable lake and hillock (grassed mound and former slagheap). Eatock Lodge also comprises of a variety of grasslands, shrubbery and woodland – there is a flattened area with small-size goalposts; footpaths weave around the nature reserve, and as such attract people walking their dogs or out getting fresh air. 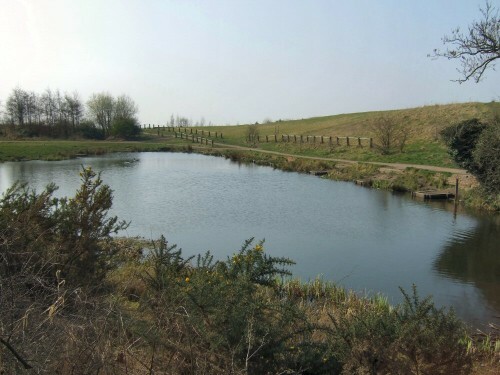 The site is managed and maintained by Bolton Council (Greenspace). Fishing is permitted on the lodge; you will need a rod licence and any fish caught must be freed and returned to the water. Fishing at Eatock Lodge | Fishing Licences (HM Gov). Friends of Eatock Lodge is a group of local residents who formed in 2010, getting together to secure improvements around the lodge, promoting its use for leisure and education. 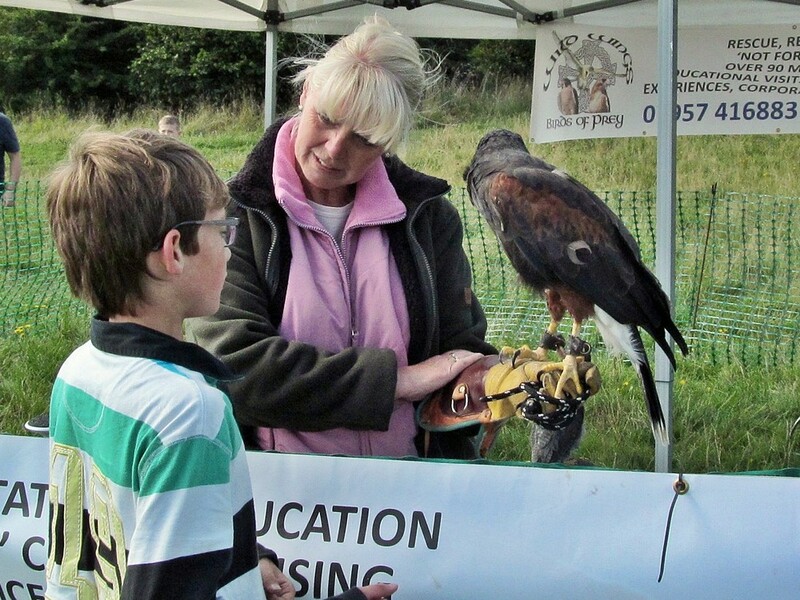 In 2011, with funding secured from the Big Lottery, under the banner of 'Eatock's Alive', the group in conjunction with Lancashire Wildlife Trust embarked upon a programme of improvements and activities, culminating in a 'Big Family Fun Day'. Maintain the sites access, public use and status as an SBI (Site of Biological Importance). 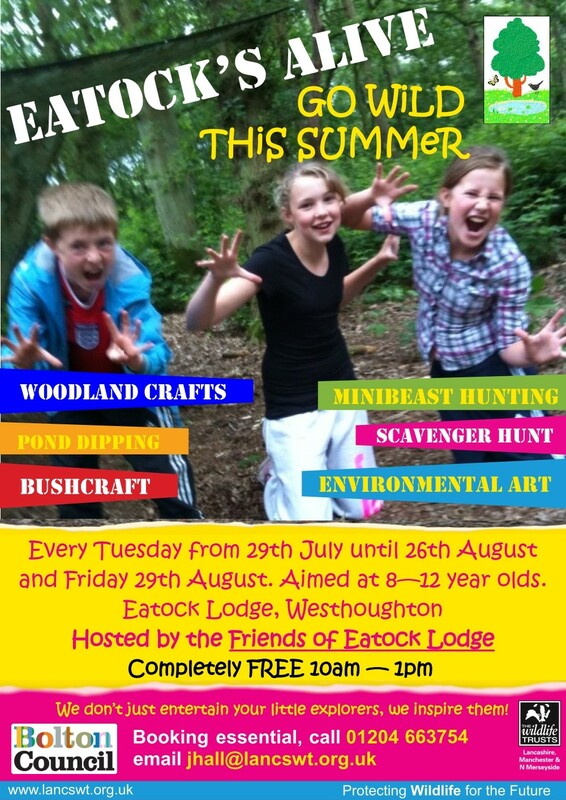 Raise awareness of Eatock Lodge as a local resource, and increase local knowledge of its wildlife and history. Improve the site for wildlife value and public use. Thanks to funding, our group has been able to initiate or buy in services that have benefited and will continue to benefit local residents. We are always looking for new members to come and join us, so if you have an interest in this Local Nature Reserve, please get in touch or speak to us if we are out and about or at one of our events. Or join our Facebook group where news, photos and feedback is shared. Fishing pegs repaired for fishermen to use. 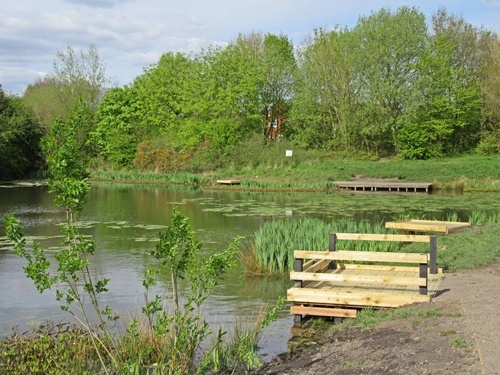 Fishing pegs replaced in 2018, including the addition of peg and path for wheelchair access. The building of a dipping platform (pier) on the lodge. Installation of 9 benches around Eatock Lodge (2011 (3); 2012 (3)). 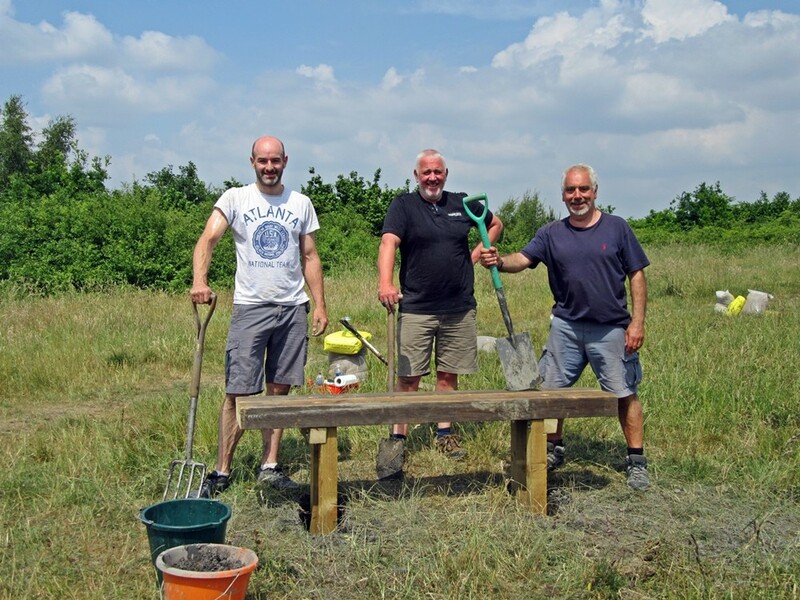 In 2018 volunteers from the group made and installed 3 additional benches on the hill. 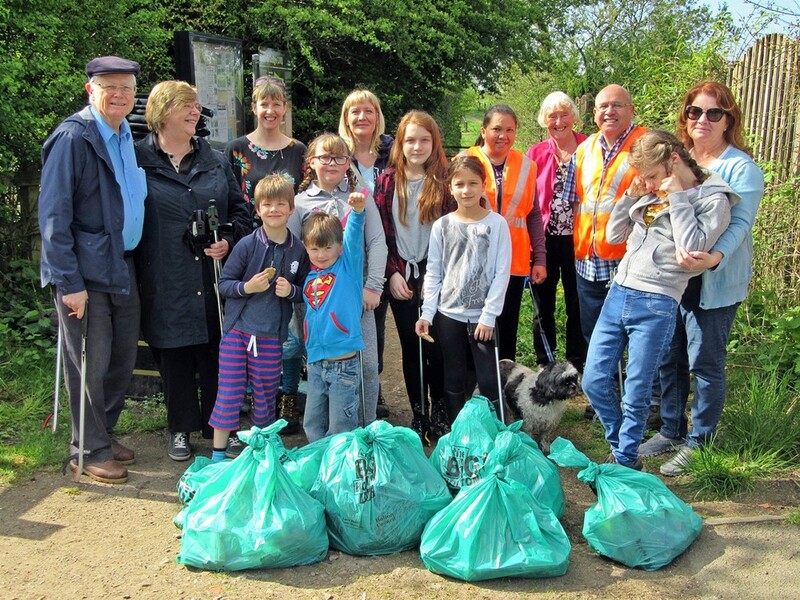 Community Clean-ups - family friendly litter picks. Walks and Talks – giving residents the opportunity to learn more about the wildlife of Eatock Lodge, such as: 'Dragonflies and Amphibians'; 'Learn how to identify the trees and flowers around Eatock Lodge'; 'Dawn Chorus'; 'Bat Walks'. 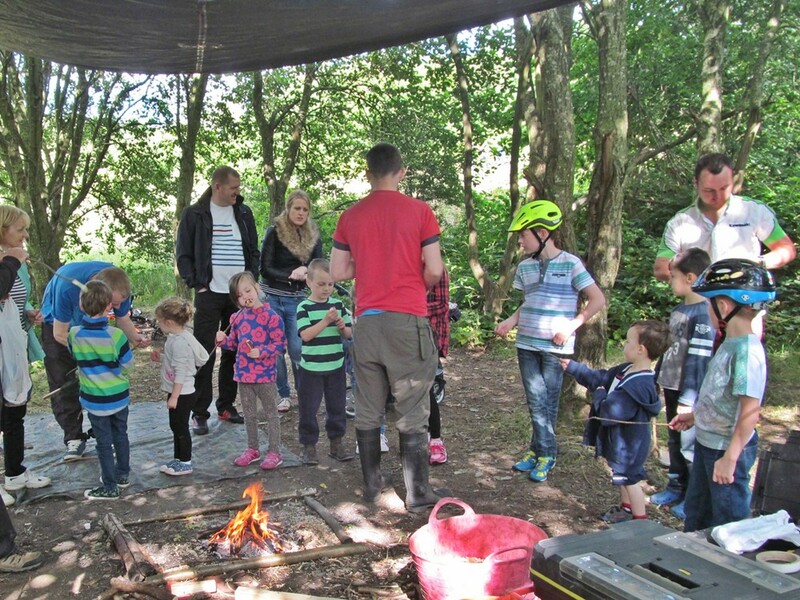 Playschemes – these activities were aimed at 8 to 12 year olds, and involved a number of supervised, outdoor activities around nature and crafts; these activities included: 'What’s Lurking in the Lodge? '; 'Creative Camouflage' (how animals and insects hide); 'Know your birds'; 'Kite-making'; 'Bugs Hunts'; 'Making Collages and Craftwork'. The group works with local providers and schools to encourage use of the lodge for educational and leisure activities. In late August (2011), in the first of our now annual family Fundays families were able to come along to enjoy a fantastic day of fun and learning around Eatock Lodge. There were arts and crafts (kite-making, sockpuppets…), pond dipping (identifying lake-bound creatures), green woodwork (bodging), face-painting, a bouncy castle and more! 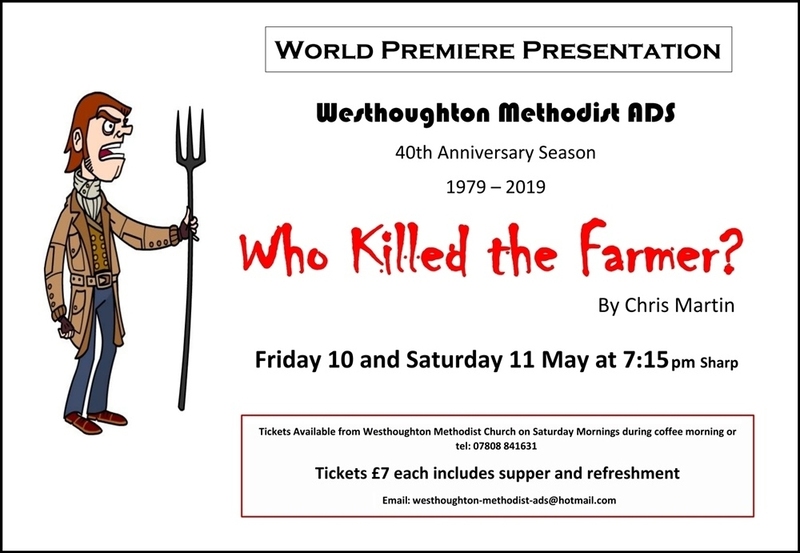 For our inaugural event we were joined on the day by local community groups with stalls – Westhoughton Local History Group and Westhoughton Community Queens Association. A new kissing gate at main Hoskers entrance, replacing a broken one. A kissing gate installed at the Dorkett Grove entrance - partly to address some illicit dumping of garden waste onto the reserve. Removal of tree and shrub whips from the grassland bank on the west side of the lodge to be undertaken to maintain the wildflower interest and provide nectar sources for bees and butterflies. Vegetation cut back to the knee rail at the Parkway entrance and dense shrubbery reduced to maintain the wildflower area, again for bees and butterflies. Repair of the hollows in the football pitch. New sign posts at all entrances. 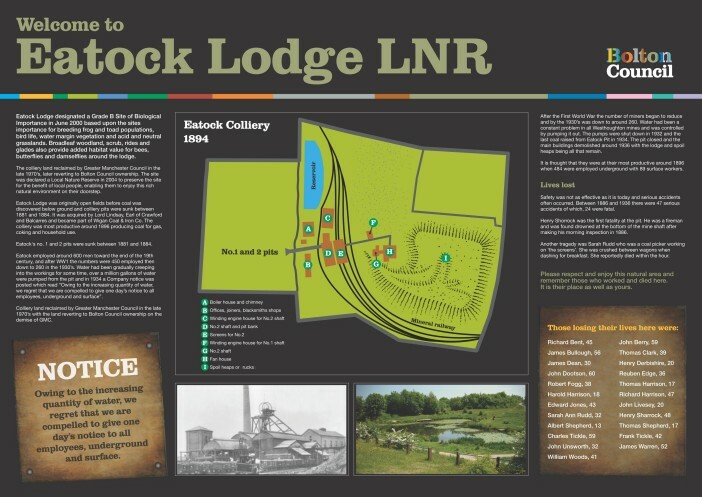 In addition, an information board was installed at the Hoskers entrance telling visitors about the lodge's previous life as a working colliery - the local history group has been able to help, providing some detail. Eatock Lodge was originally open fields before coal was discovered below ground and colliery pits were sunk between 1881 and 1884. At one point the Eatock colliery employed some 600 men; after World War One the numbers were 450, falling to 260 in the 1930s. Water ingress was a problem, and in 1934 the battle with nature was lost and the mine closed. 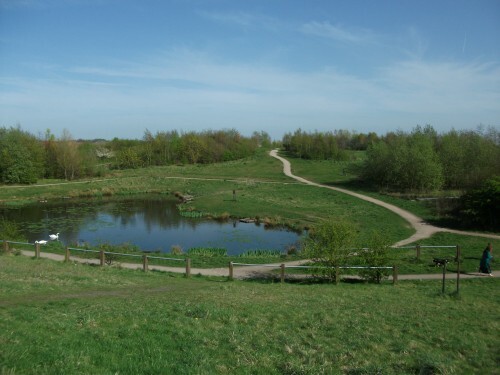 The land was reclaimed by the now defunct Greater Manchester Council in the late 1970s, being declared a Local Nature Reserve in 2004 to preserve the site for the benefit of local people, enabling them to enjoy this rich natural environment on their doorstep. On a more sombre note, highlighting the dangers of mining at the time, between 1886 and 1936 there were 47 serious accidents, of which 24 were fatal. The group, in conjunction with 'Playing For Success', submitted a bid to the the National Lottery Community Fund for wide-ranging programme of activities catering for young and old, working with schools and senior citizen groups, which will involve educational activities and entertainment, as well as further amenity improvements. This bid was successful with £10,000 allocated for projects over 2019. 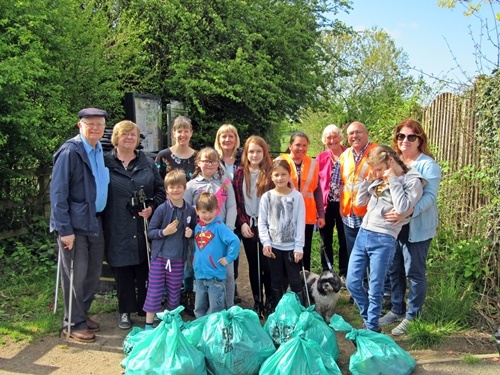 A first community Litter Pick of 2019 was held 23rd March as part of the #GBSpringClean initiative. The group had a public meeting and AGM at Daisy Hill Cricket Club on 25th March, where 2018 activities were reviewed and plans for 2019 were discussed. Playing For Success will provide 12 sessions - 6 with OAPs (late July) and 6 with school children (September) with a mix of outdoor and educational activities. There is to be a Bird Song Walk led by local bird expert, Colin Gradwell, on Saturday, 27th April (7:30am). The annual Family Funday will take place on Sunday, 1st September. In addition, the group is looking to organise other activities over the summer, some task-oriented, and perhaps a summer brass band concert over the lodge. Watch Facebook group for announcements. Planning for events and activities began in the spring, and was a busy year for the group with activities such as Litter Picks, the Bird Song Walk, and a work-day in May led by Bolton Conservation Volunteers (BCV) with volunteers undertaking some maintenance tasks around the lodge, including creating a winter home for frogs and toads (an Amphibian Hibernaculum), as well as preparations for the end of summer funday. 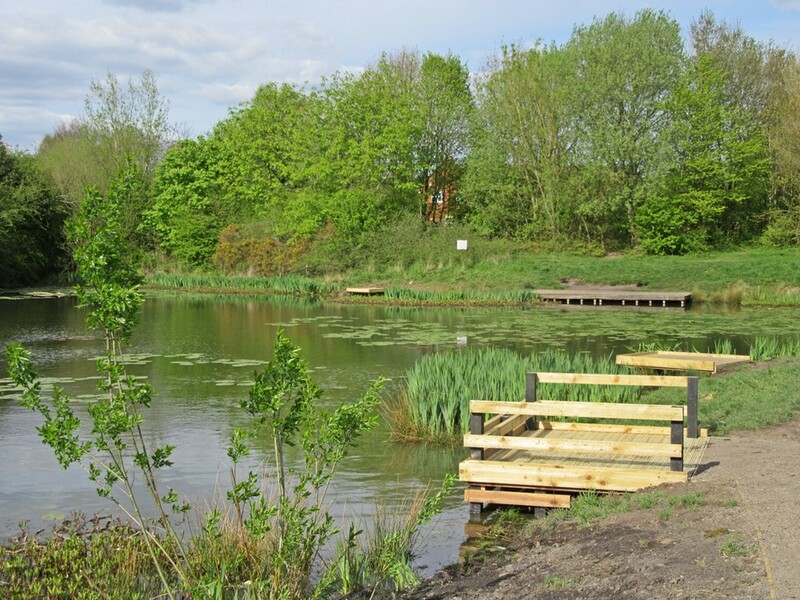 With funding in place users saw some significant improvements around the lodge including replacement of all the fishing pegs (May), including one suitable and accessible for wheelchair users. Funded by Bolton Council, Friends of Eatock Lodge undertook to make and install three additional benches on the hill with view of the lodge and beyond (June). The summer was not without incident, the prolonged spell of very hot and dry weather taking its toll on the wildlife as water - and oxygen - levels fell, and a number of birds were lost to disease (feeding ducks bread not something we recommend). The Council acted swiftly and the disease, though a major incident, was contained. Nature soon recovered, with water-bound birds returning in good numbers, and the site was given the all clear in time for the Funday. The annual Family Funday took place on Sunday, 2nd September. The weather was favourable, and during the course of the afternoon some 500 visitors were entertained and enthralled by a mix of outdoor attractions and fun activities, including guided nature walks. This free event was part-funded by Forever Manchester and Bolton Council Area Forums. The group will look at putting on events and activities if funding allows. From time to time there will be Litter Picks (Sat, 1st April) and themed (educational) walks - Bird Song Walk (Sat, 29th April). The Family Funday returned on Sunday, 3rd September, with some new attractions including a mobile petting zoo. 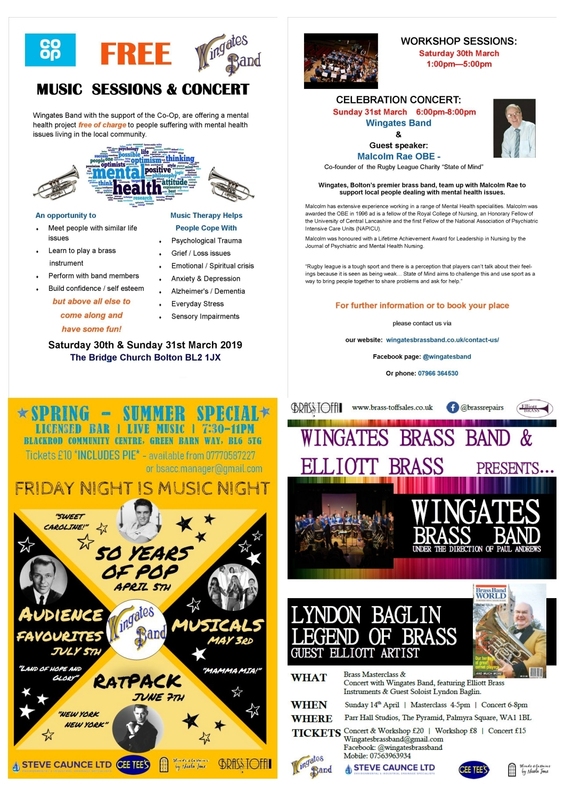 The group is looking at special events for over the summer months including the possibility a summer evening brass band concert across the lodge with Wingates Brass Band performing. Bolton Council have indicated their support for requested improvements to the lodge amenities such as repairs/rebuilding of the fishing pegs and extra benches around Eatock Lodge. The first event of 2016 was a 'Big Community Clean-up', a litter pick with a difference in that contractors were on hand doing a clean-up of the lodge itself - unfortunately litter does accumulate on the water spoiling the view but also being a danger to the wildlife. With the weather improving an early morning Bird Song Walk with a local bird expert took place on late April and Friends of Eatock Lodge again took part in the Westhoughton Yarn Bombing Festival (2/3 July) showing off their amazing 'knitted' Eatock Lodge. The end of summer saw the fourth of our popular Family Fundays (Sunday, 4th September) - the year's event supported by some funding from Westhoughton Town Council which helped towards the costs involved. An autumn Community Litter Pick at half-term concluding the year's activities on site. 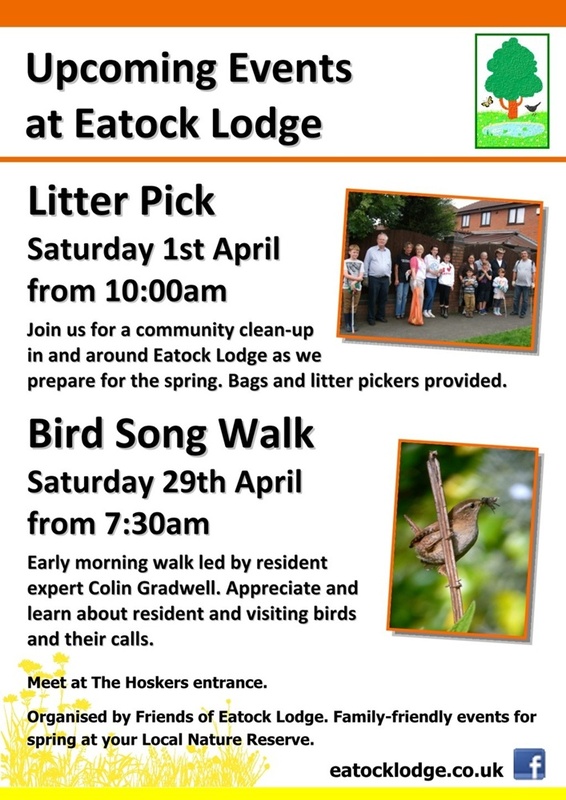 A Community Litter Pick took place in April, and in early May - a key time for our feathered friends - there was an early start for a Dawn Chorus Walk with local bird expert, Colin Gradwell, with tips on seeing, hearing and identifying the many birds who nest and visit Eatock Lodge. 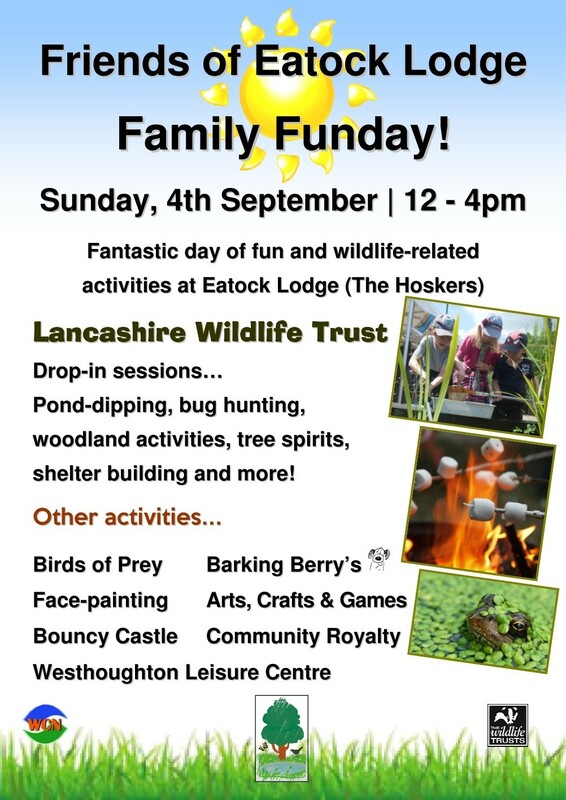 The popular Friends of Eatock Lodge end of summer 'Family Fun Day' was on Sunday, 6th Septemberwith outdoor/nature related activities involving Lancashire Wildlife Trust. There was a great turnout on the day with lots to see and do, and some fun activities for children. 'Glen the Bodger' returned to demonstrate traditional wood crafts; news additions were birds of prey, the Barking Berry Fun Dog Show Team, with Westhoughton Leisure Centre on hand to promote sport with special offers for visitors. 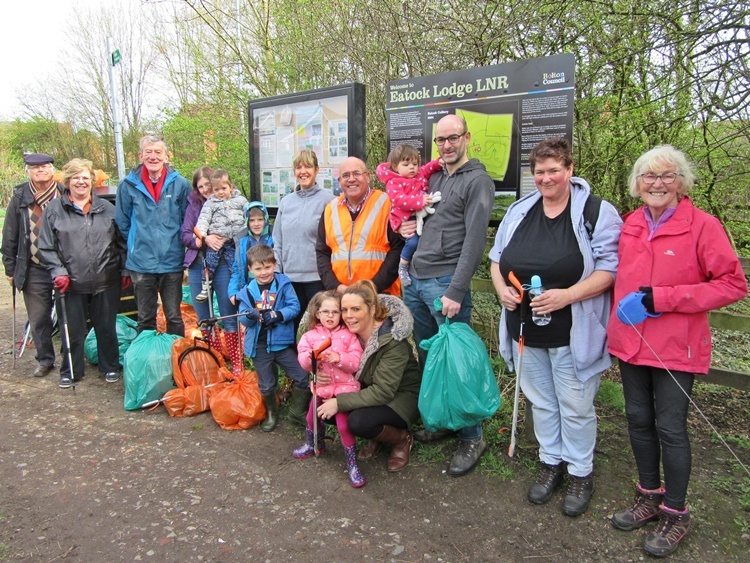 This free, community event was funded through GM Police (Westhoughton You Decide) and by a grant from W.A.C.O.. A Community Litter Pick took place on late October for adults and children to leave the lodge in good order for the winter months. Other photos from the day are now online on the Facebook group site. A short Funday Video (YouTube) gives a flavour of this popular educational and family-oriented event at Eatock Lodge. Given the success of Eatock's Alive 2014, and having secured some additional funding from W.A.C.O. it was decided to put on some extra events over the winter. 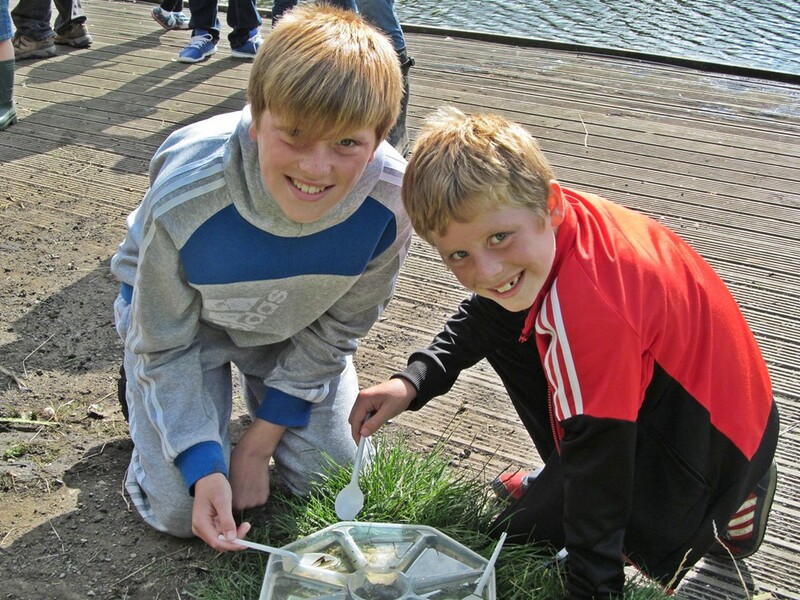 Again run by Lancashire Wildlife Trust, these were a mix of outdoor work and outdoor skills. The first activity took place on Saturday, 13th December, followed by further monthly sessions through to March (10/1/15; 21/2/15, 21/3/15). Bolton News report on the 10th January session. Thanks to funding received from the Big Bolton Fund (Bolton CVS) and Forever Manchester, Friends of Eatock Lodge in conjunction with Lancashire Wildlife Trust put on a series of supervised, educational activities for children aged 8-12, using the natural resources of this Local Nature Reserve (LNR) with a focus on outdoors. 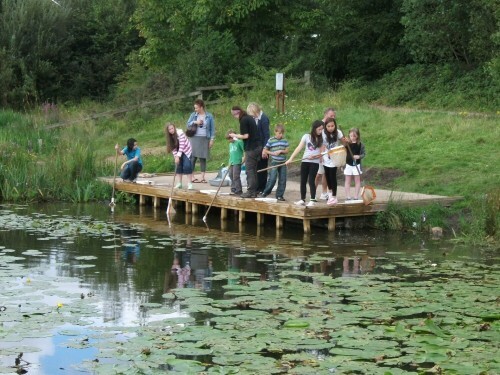 Tues, 29th July - Pond dipping, crafts and games. Tues, 5th August - Environmental art and games. Tues, 12th August - Minibeast safari, crafts and games. Tues, 19th August - Scavenger hunting, crafts and games. Tues, 26th August - Woodland crafts and games. Fri, 29th August - Bushcraft and games. Bringing the summer activities to a close was the Family Funday at the lodge on Sunday, 7th September featuring drop-in sessions run by Lancashire Wildlife Trust, plus a Bodger Demonstration (traditional woodcraft), Arts and Crafts, Games, Bouncy Castle and Face-painting, plus an appearance by the Westhoughton Community Queens Association. As an act of remembrance for the 100-year anniversary of the outbreak of World War One poppy seed were handed out to be sewn by children. Great to see so many people turn out to enjoy the lodge. 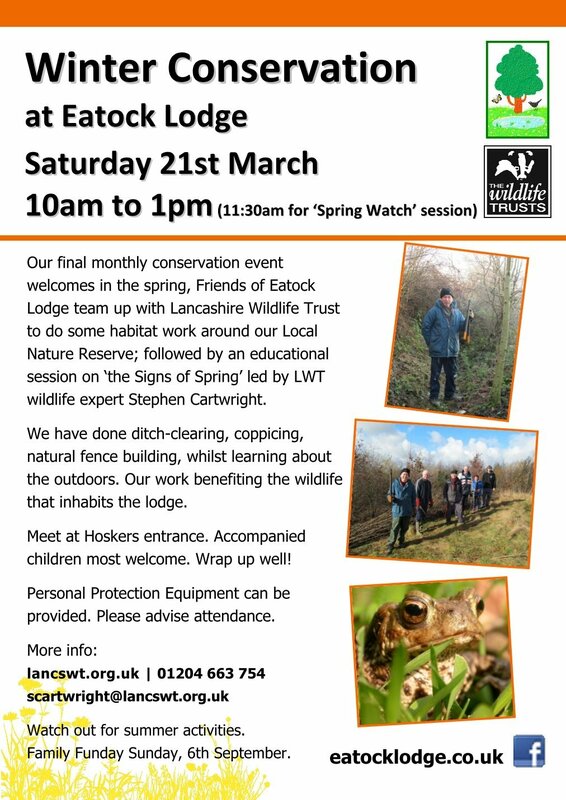 For further information about Lancashire Wildlife Trust contact James Hall on 01204 663754 or e-mail: Lancashire Wildlife Trust.